What do you see when you stand on a city street corner? Houses. Cars. People conducting a thousand daily routines. 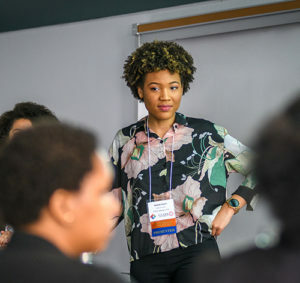 Kaiomi Inniss ’19 sees something very different. She sees a desert. Third Culture Kids and Global Nomads conference at Clark. 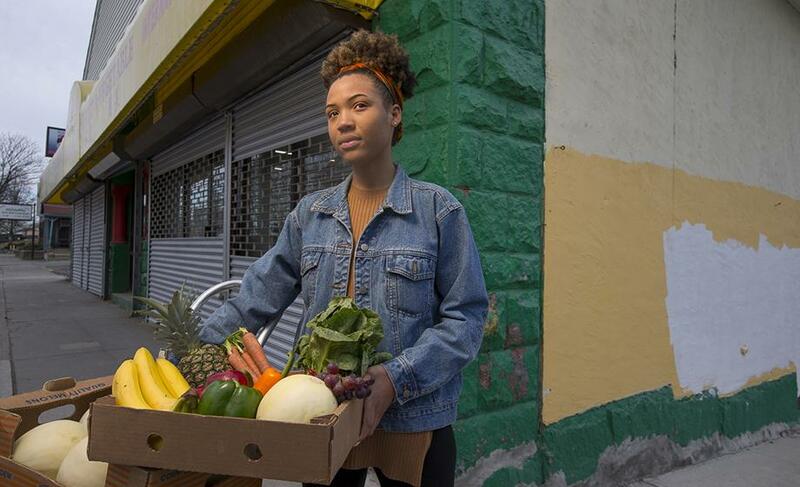 Inniss comes by her passion naturally: Her father works alongside the minister of agriculture in Trinidad, promoting food-sustainability initiatives across the island. He also grows the family’s food, which helped fuel his daughter’s desire to bring fresh food to those who have little or no access to it. In 2016, Inniss and fellow Clark students accompanied John Dobson, associate professor of practice in the Graduate School of Management, to Bogotá, Colombia, where they helped women in low-income areas build their own urban gardens, then develop and execute a business plan to sell their produce. She’s brought her awareness of heritage into a lighthearted (though hard-working) role as choreographer and performer in the International Gala, Clark’s annual celebration of global music and dance. Inniss also is vice president of the Caribbean African Student Association, which hosts several cultural and awareness events every year.